In order to more accurately and effectively monitor the progress of our students, Andson Academics has incorporated the usage of the AIMSweb assessment and diagnostics software into our Academic Support program for the 2013-2014 school year. This tool allows us to benchmark and progress monitor our students to further diagnose the exact areas in which they need the most attention. AIMSweb also gives us the capability to compare our students’ progress to state and national norms much more easily. Many schools across the country, including Clark County School District, have begun integrating this software into their assessment processes, and most of our tutors are already very familiar with the system. 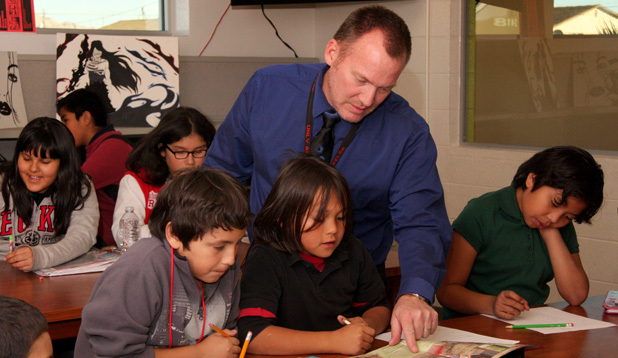 Using the AIMSweb software gives the Andson Academics program a unique advantage over other tutoring programs in southern Nevada. We are very excited about what this means for our program and the enhanced support that our students will receive with the implementation of this software. We are excited to report that Andson's Homework Help and Tutoring program has kicked off another year with more locations and some new initiatives! We are on track to have an estimated 1,200 students at 15 sites (anticipated by the end of this year) receiving Homework Help and approximately 500 students receiving small group tutoring assistance. Over the past two years we have done lots of things right. 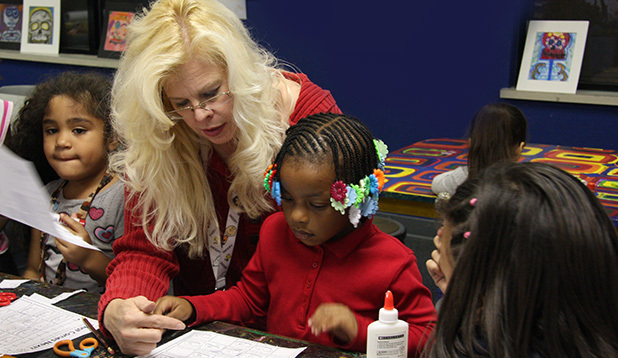 We have put close to 1,000 students on a path to success, benefitting from our free Homework Help and tutoring programs. We have partnered with amazing organizations like the Boys & Girls Clubs, St. Jude's Ranch for Children, Communities In Schools and After School All Stars. 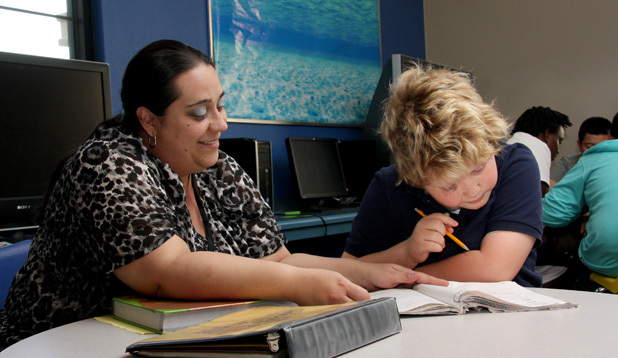 Our tutored students improve their performance an average of one to two grade levels in all academic areas! We have lots to be proud of! 1) Homework Help activities will be more fun, engaging and productive. We are really structuring our locations and separating kids by grade and ability levels while offering incentives and prizes to those who complete their homework correctly. We are providing new and better books and will be introducing educational games as a way to instill a lifelong love of learning. 2) Tutoring groups will be smaller, allowing Andson tutors to really hone in on student needs and develop Individualized Learning Plans. This personalized approach to student needs along with a new system of periodic academic assessments, progress monitoring and benchmarking will help assure that no child falls behind in school. Generally, higher FCAT achievement, low absenteeism, grade promotion, low dropout rates, and less interaction with the juvenile justice system have all been associated with a higher likelihood of completing high school, which has significant effects on the individual and taxpayers in general. High school graduates earn higher salaries on average than those who do not graduate from high school, which benefits them directly, and also translates to indirect benefits to the economy as a whole by increased discretionary spending capacity, higher tax collections, and lower social program costs. UNEMPLOYMENT High school graduates are less likely to face unemployment and depend on government assistance relative to those that did not complete high school. The latest unemployment rate data available for various degrees of educational attainment shows that the unemployment rate was 4.4 percentage points more severe for those who did not complete high school, and the unemployment rate drops for each higher level of educational achievement. According to the U.S. Department of Labor, only 9.2 percent of the working poor in 2010, were high school graduates with no further degree of educational attainment, whereas 21.4 percent of the working poor had no high school diploma. Those who are considered the working poor are much more likely to utilize taxpayer-funded assistance programs. Nationally, according to the U.S. Health and Human Services Department, 43.2 percent of Temporary Assistance to Needy Family (TANF) recipients did not have 12 years of formal education. According to the DOE Annual Outcomes Report, of the 2009-10 group measured, 45 percent of those receiving public assistance were high school dropouts. POVERTY Recent data shows that the poverty rate for those with less than a high school diploma was 28.4 percent, as compared to 16.1 percent for those who completed high school. Poverty rates are lower for the population with higher and advanced degrees. OVERALL ECONOMIC IMPACT According to the National Center for Education Statistics (NCES), the cost of Grade Retention nationally was over $34.8 billion in 2009 for grades K–8. For every 10 students not held back in any given year, taxpayers realize a total cost avoidance of at least $92,100 per year Students who successfully complete high school are significantly more likely to have a better future and thus give back to society. According to the U.S. Census, on average, persons with a high school diploma or the equivalent earn approximately $7,270 more (or 42.3 percent) per year than those without a high school diploma. Applying the Census figures on average wages from above, each FBGC participant that graduates from high school will have additional lifetime earnings of $290,800, assuming a 40-year career, compared to non-high school graduates. These career earnings are made even more possible without the barriers to employment that a criminal background brings an individual. Assuming that 100 individuals at risk of not completing high school would actually graduate, the expected aggregate lifetime earnings increase for these 100 graduates over their career is $29,080,000. Many companies that once provided supplemental education services, or tutoring mandated at academically struggling schools under the No Child Left Behind law, are now scrambling to find new streams of income, or have already closed their doors, in the past year. Steve Pines, president of the Education Industry Association, said that at its peak several years ago, about 2,500 companies and other organizations were approved to work with students using supplement-services funding allocated to improve students' academic performance. About half of the state-approved providers are "commercial entities," according to Pines. Other providers are a mix of school districts themselves, followed by community and faith-based organizations. Today, Pines estimates that the number of organizations providing those services has dropped by 50 percent. Andson did think at one point that we may apply for some of these various funding sources, but we never have. All of our funding has come from Sonia's initial investment. That said, we are focused this year on securing new, creative ways of funding our programming to make sure our commitment to Southern Nevada can continue for years to come. Our extremely supportive Board has clearly made "thinking outside the box," a general principle in regard to garnering support for an initiative for this upcoming year. With new agreements with the City of Las Vegas for SAFEKEY locations, our 9 other locations through Boys & Girls Clubs, St. Jude's Ranch for Children, and Communities in Schools as well as interest from various other community partners - this is only our beginning. This school year we have agreed to 13 total sites, with two additional sites in discussion. 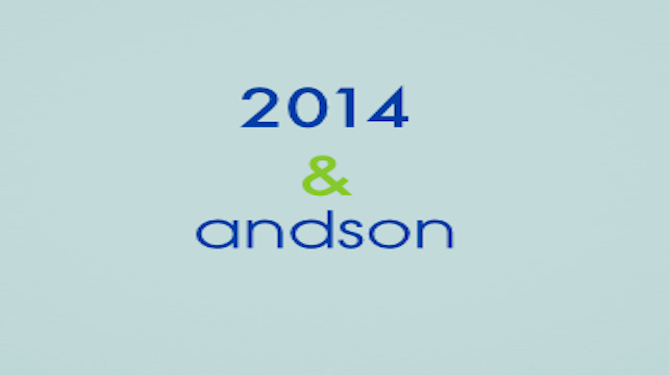 Although we have a business background and can apply some very atypical strategies to fundraising, programming and curriculum, we continue to passionately operate Andson as the organization it is - one truly committed to our community. We are focused, and ready for this school year! Do you like to take baths? If you were a fish, would you wear clothes? Do you want a friend because you are always alone at the house?